The so-called Supreme Court of Crimea refused to satisfy appeal of the defense of Volodymyr Balukh, the Ukrainian activist to commute his penalty as Crimea.Realities reported. The advocates asked the court to commute the penalty of Balukh because his detention in the remand center is more severe penalty than the penal settlement provided by the sentence. The activist refused to participate in the debates: ‘I am on the hunger strike for 18 days. I am exhausted’. Lawyer Olha Dinze reported that the convoy beat Volodymyr Balukh, the illegally convicted in the occupied Crimea, Ukrainian activist on April 2. In addition, according to her, the administration of the pre-trial detention center refused to give Ukrainian political prisoner water, saying he was on a hunger strike. 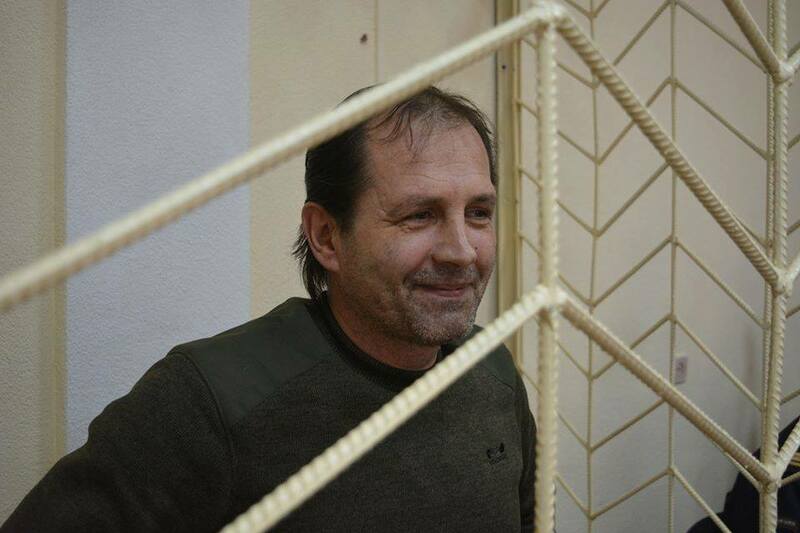 As it was reported earlier, Volodymyr Balukh, the Ukrainian citizen illegally judged in the occupied Crimea claimed that he goes for a timeless hunger strike. Balukh protested against the verdict in his case, announced in January 2018. The jury sentenced him to three years and five months for the alleged storage of ammunition. As it is currently effective, the detainee now serves time in jail. In December 2013, when the Euromaidan movement began in Ukraine, Balukh supported its activists and hoisted a Ukrainian flag over his house. It remained there – even after the so-called referendum in Crimea in spring 2014 when people were forced to vote for Crimea’s recognition as part of the Russian Federation. Balukh said he never recognized the peninsula as part of Russia. Volodymyr Balukh was detained by the Russian FSB (federal security service) in his house in December 2016. The law enforcers said they found 90 cartridges and several TNT blocks on the house’s rooftop.After that, he was sentenced to three years and seven months of imprisonment.